“Can I enter my time and expenses on the go, when I am at an airport, or in a flight” ? “Can I do my daily tasks of work while I am on the go “? “Can I inquire the status of a sales order and take some basic action on it, or even add a new customer contact when I am meeting a customer”. These are probably some of the very common questions we hear from users and customers who are either using an ERP or looking to implement an ERP for their organization. In today’s mobile first cloud first era, it is vital that the users of an ERP system remain productive regardless of their location, the computing device they use. They should be able to complete the key functions of their daily tasks “Anytime, anywhere”. So what is the story of Mobile applications for Microsoft Dynamics AX ERP, which is the main Operations component of Dynamics 365 Enterprise edition ? Well, traditionally till the AX 2012 R 3 release of Dynamics AX, the mobile applications platform (Windows, iOS and Android) existed and supported basic mobile scenarios, but they were not very significant and the framework had limitations obviously. Now with the release of the New Dynamics AX (Still widely known as AX 7 among the community), the whole scenario of Mobile applications is going to take a HUGE leap in terms of the quality, usage, configurability, capabilities and more. Support for full Offline/intermittent connectivity mode. You can interact with Dynamics AX even when you are not connected to the internet !! Inherits of all key artifacts of Dynamics AX (Such as Security, labels and more). Front end “Mobile experience designer” within AX client, to develop mobile screens/apps with literally less or no coding needed. Deploy these app experiences to the common mobile app present in Windows Store, App Store(iOS) and Play store (Android). There is no limit for the mobile app to certain functional areas only like time and expense. It can be used literally for any operational area of Dynamics AX from sales to warehouse and accounting. Very Powerful !!!!! Microsoft will release several mobile apps out of the box when this framework releases this fall (Around November 2016). Dynamics Partners will be able to create specific business apps and publish those to app source for consumption. Will take full advantage of smart phone features like GPS, Maps, Camera and more. While most of the apps and features will be available out of the box, if you need to make your apps more fancy (Like changing he UI, adding a file upload interface, or some real-time validation in the mobile client), you can do them by writing your own java script. The 2 significant components of this new mobile applications framework are as follows. The actual mobile app for Windows store, App Store and Play store. This common app is still in beta testing and not available for public preview yet. I don’t have access to the preview version unfortunately. The Mobile Experience Designer within Dynamics AX. This is the component I will provide sneak peek into in today’s post. Using this, you can create and configure the mobile application workspaces for different areas of AX the way you want it. 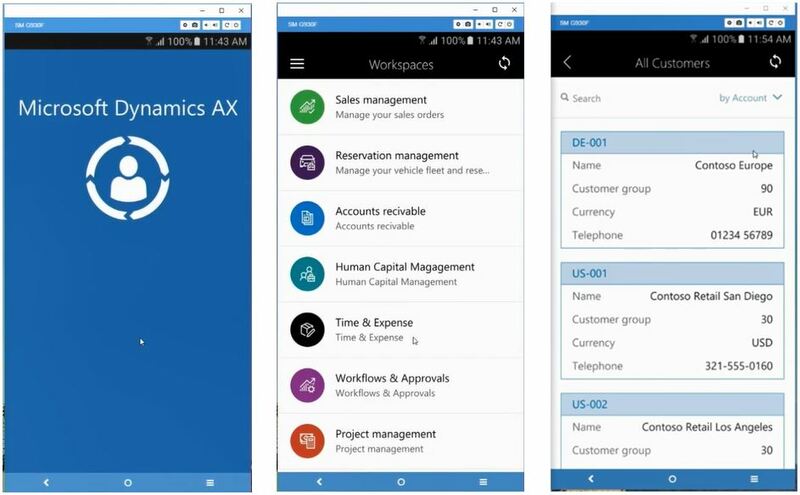 If you have deployed the recent Update 2 release of Dynamics AX that came out in August 2016, then you can access the Mobile experience designer within AX and see what it is all about. Let us take quick ride on this. Launch Dynamics AX in your browser. After that, Open the Settings menu and you will notice a new menu option called “Mobile Apps”. Click the Mobile Apps option to load the designer experience. Now, you can create your mobile workspace for any functional area you want. Let us say we want to create a mobile app/workspace for the Projects. Click Add and give a name and description for the app/workspace. You can also select a color for the workspace as well as a default icon (Which is how it will appear in the mobile app). Next, we will add a new page to the to app. This is the page which will appear when user launches the app/workspace in the mobile app. Click Add Page and provide a page title and description. Click Select fields button to select the data fields you want to show on this page. As soon as you do this, system will automatically prompt the data fields that you can simply select to add to the page. In this case lets add Project ID, Name, Customer Name, Project type and Project stage. Just click the + icon on each field to add them to the page. Now, click Done when you are done adding all the fields you need. Go back to the main page now and you can add ACTIONS on this page if you want. Under action if click add actions and perform all the tasks such as save, submit, edit etc. on a specific form, system automatically record them and present the action in form of a button in the app. Under the CODE tab, You can add custom code (Java script) for additional fancy customizations (such as UI changes, validation in mobile client and more). Finally , when done, click Done and You will see option to publish this workspace to the mobile app. As soon as this is done, you will start seeing it in the mobile app when you login to the app in your smart phone or tablet. I am not able to show how this all will actually look on the actual Mobile app on the Windows/iOS/Android smart phone or tablet, since I do not have access to the beta release of the apps and it is yet to be released for public preview. Expect the apps to be available for public preview around November 2016 timeframe, when the Update 3 for Dynamics AX comes out. However, below are some sample screenshots on how the ultimate apps may look like (This is subjected to change when it releases for public preview). If you are looking at extending Dynamics AX functions to mobile devices and build native mobile app experiences for those functions, you would use the built-in mobile app extensibility framework, which we just discussed above. However, if you are looking for building a solution that needs to span multiple services, such as Office 365, CRM and other non-Dynamics AX services, you would use Microsoft powerApps and the new Common Data model, to build your mobile apps. You can read my blog posts on “How to build mobile apps using common data model and Microsoft PowerApps” for more information. 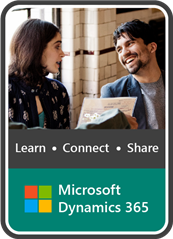 I hope this post will give you some idea where the mobile app story for Dynamics AX and Dynamics 365 is headed in the future and the tremendous potential it has to unlock new scenarios of mobile capabilities of a high quality enterprise ERP software, which is Dynamics 365 (Enterprise edition) and Dynamics AX. Stay tuned for more updates soon!! What I enjoy about Sandeep’s posts is that they not only show what Dynamics AX is capable of, but also guide readers to understand when a business scenario will drive a solution down one path rather than another.